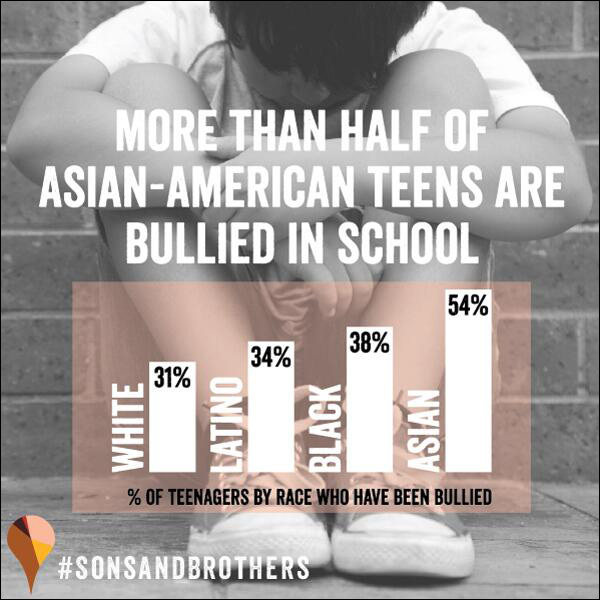 According to survey data released in 2011 by the US Justice Department and Education Department, Asian Americans endure far more bullying in U.S. schools than any other ethnic group, and compared to other teens, Asian American teens are three times as likely to face bullying on the internet. A report released last year by the Asian American Legal Defense and Education Fund and The Sikh Coalition revealed that half of all Asian American students surveyed in New York City have been the target of bias-bullying and harassment, mirroring national statistics. And according to a report released earlier this month, more than half of Sikh school children are bullied. Throw in the scores of stories I’ve posted the years about young Asian Americans who have taken their lives after enduring bullying, violence and harassment in school, and it’s all a stark, powerful reminder that we need continued efforts to confront and combat this issue.